Communication Tips, Communication Tips for travel, Communication Tips in India. The country code for India is 91. India is then divided into area codes, known locally as STD codes. In short form -blissful India, a phone booth is known as a PCO (Public Call Office) and they regularly offer STD/ISD (Subscriber Trunk Dialing/International Subscriber Dialing) or national and international long distance correspondingly. These are usually staffed, and you dial yourself but pay to the attendant after the call is over. Metering is done per pulse and a service charge of Rs 2 is added to the bill. Larger cities also have Western-style unmanned public phones, which are usually red in color and accept one rupee coins. Local phone numbers can be anywhere from 5 to 8 digits long. But when the area code is included, all landline phone numbers in India are 10 digits long. Cell phone numbers usually ten digits long. 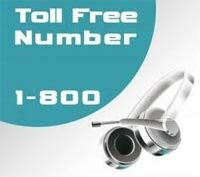 Toll-free numbers start with 1-800, but are usually operator-dependent: you can't call a BSNL/MTNL toll-free number from an Airtel landline, and vice versa. Often, the numbers may not work from your cellular phone. Other National Numbers that starts with 18xx or 19xx may attract special charges. To dial outside the country from India, prefix the country code with 00. E.g. a US number will be dialed as 00-1-555-555-5555. Calling the USA/Canada/UK over the regular telephone line will charge you about Rs 7.20 per minute. Calls to other countries, mostly to the Middle East, can be pricier. India uses both GSM and CDMA and mobile phones are widely available, starting from Rs 500. 3G networks are only starting to be rolled out of late. Major operators with India-wide networks include Bharti Airtel,Vodafone,BSNL,MTNL, Reliance Mobile (both GSM and CDMA),TATA DOCOMO (GSM),TATA Indicom (CDMA) ,Idea Cellular, Uninor,Aircel,MTS (CDMA),Videocon Mobile etc. Not all operators have Pan-India operations but have tie-ups with other operators to provide pan-India coverage via roaming, though roaming charges are higher. Local calls could cost as little as Re 0.10 per minute (typically Re 0.50), although going to a different state within India is considered roaming and additional charges of Rs 1-3/min for both incoming and outgoing calls may apply. International calls are comparatively cheap, with most destinations under Rs 10/min, the same as you would pay at a PCO booth. Fully loaded prepaid starter kits are available for around Rs 500 or less, including several hundred rupees of call time. You will need identification and a passport size photo, although some shops will also insist on a local address in India; try the next one if they're not accommodating. Beware that talk time (unexpired minutes of talk time) and validity (the date that the SIM card expires) are considered separate and you have to keep both topped up, or otherwise you may find the Rs 500 you just recharged disappearing in a puff of smoke when the one-month validity expires. Usually, when you extend the validity, you will also get extra minutes but you can buy minutes for less without extending the validity. Alternatively, if you are in India for a reasonably long time, you can buy a prepaid SIM with lifetime validity and then top up with talk time as per your needs. Please note that in most such cases; you will need to top up atleast once every six months to keep the SIM active. And the term lifetime is slightly misleading as it refers to the life of the license issued to the operator by the Government of India to provide mobile services. If the license is renewed, your services shall continue without any additional charges but if the license is not renewed, your lifetime SIM also becomes defunct. Licenses are awarded to operators for a period of 20 years. Internet kiosks are found everywhere nowadays and they charge as low as Rs 10 to 20 per hour (the cost being a compromise for speed). Beware of using your credit cards online as many cases have come forward regarding credit cards thefts using key loggers. More reliable chains include Reliance World (formerly Reliance Web World) and Sify iWay. Calling overseas is also very cheap if you use the many booths that advertise Net2Phone service. The quality ranges from tolerable to excellent, and the price is very good, with calls to the USA ranging from Rs 2-5 per minute. Wifi hotspots in India are, for most part, limited. The major airports and stations do offer paid wifi at around Rs 60-100 an hour. Delhi, Bengaluru, Pune and Mumbai are the only cities with decent wifi coverage. Most Cafe Coffee Day and Barista stores in the larger cities offer free wifi. This often comes with a cover charge, which may be used on the coffee/drinks/snacks. Most internet users in India do not rely on wifi too much. GPRS datacards/USB modems are widely used, but these require signing contracts with operators and thus not a practical option for short-term visitors without a residential address in India. The better companies such as Airtel (GSM) and Tata Indicom (CDMA) do not rent datacards, which means that you have to buy them outright. Reliance charges Rs 650 per month (1GB downloading free, Rs2/mob) for a datacard/USB modem. The cheap price also means a 256kbps connection, by the way.